I’d heard some pretty gruesome tales of what to expect and my taste buds arrived in Reykjavik with more than a little trepidation about the food I’d find on my plate. I’m happy to say I didn’t need the stash of chocolate Hobnobs I’d secreted in my case because Iceland served up some fabulous food. So, what to eat in Iceland? 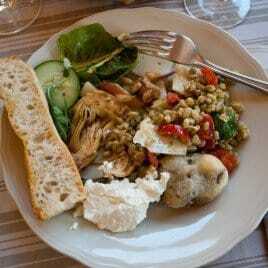 Staple dishes include lamb, skyr, potatoes and fish – lots of fish. Iceland sits surrounded by chilly North Atlantic waters filled with cod, haddock, herring, halibut, skate, lobster, and salmon. 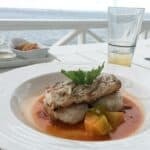 The fish you’ll find on your plate in the evening was probably caught that morning. Huge geothermal heated greenhouses produce fresh vegetables and the country’s environmental awareness means that the meat, fish and seafood is some of Europe’s healthiest. Here’s the heads up on Svið. 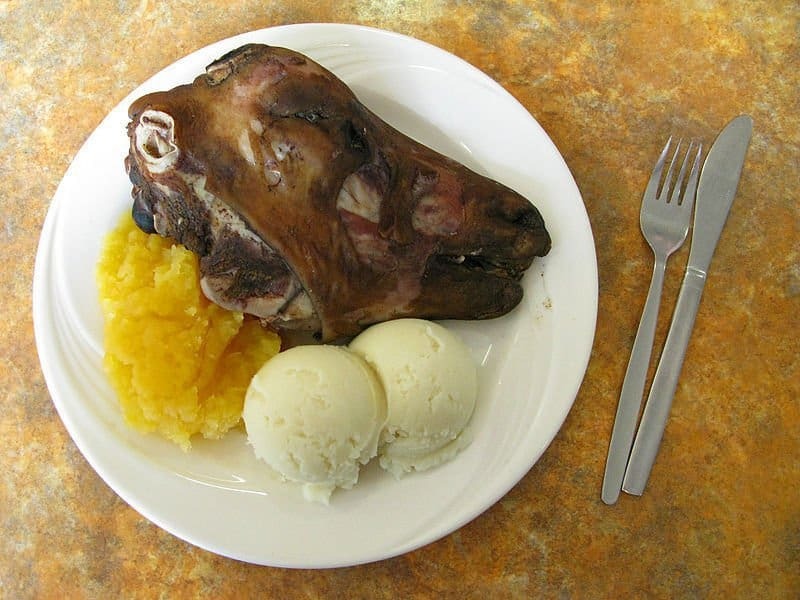 A sheep’s head is singed to remove the wool, cut in half, de-brained, boiled and served with mashed root veg and then the lot devoured; including ears, eyes and tongue. I’d have tried a bite or two had the opportunity had arisen. Fortunately it didn’t – ditto the ram’s testicles pressed into cakes and pickled. But these aren’t just quirky snacks; the way the whole of the lamb is used and preserved was born from necessity and the need to get through lean, freezing Icelandic winters. 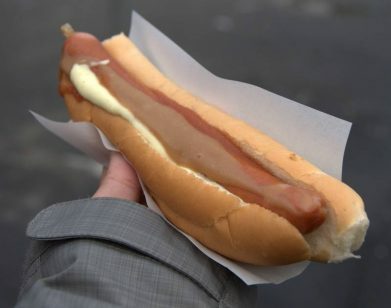 I wasn’t going to leave Reykjavík without sampling their infamous hot dog. Bæjarins beztu pylsur (the best hot dog in town) has served hot dogs since 1937 from a hut opposite the harbour in downtown Reykjavík. They differ from your average dog in that they are made with lamb as well as pork and beef which gives them a slightly meatier flavour and a firmer texture. The best way to eat them is ‘eina með öllu’ with everything. Which means your dog is loaded with two types of onion, crispy deep-fried and raw; ‘pylsusinnep’ a sweet brown mustard; ketchup and all finished off with remoulade, a mayonnaise mixed with finely chopped gherkin and caper. This combination adds up to a whole lot of flavour. I’m not a big fan of hot-dogs but had to try one to see if these really are the best hot dogs in the world. Verdict. Probably because every time I passed that hut there was a queue. Personally I thought they were okay. One hot dog costs 300 ISK so a good cheap lunch option on the go. 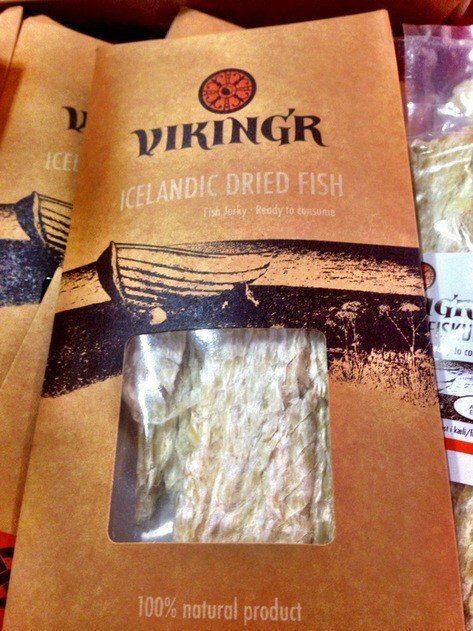 Icelandic fish is plentiful, fresh and delicious due to the abundant waters surrounding it. One of my favourite Icelandic fish dishes are deep-fried crispy cod balls. After biting through the light crisp batter the white, succulent cod is a wonderful contrast. 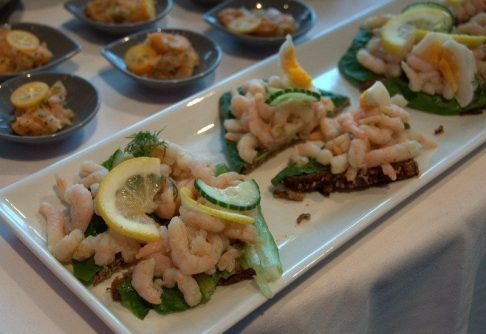 Other favourites were the more healthy foods like shrimps on open sandwiches of rye bread with a twist of lemon, delicately smoked trout or salmon and meaty monkfish. All locally sourced and beautifully cooked. Talking of alcohol, one of the top four lagers in Iceland is Gull which is made with Icelandic barley and water. 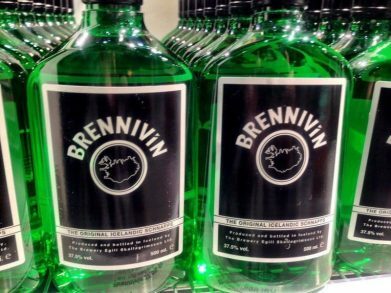 Gull is sold in most bars and every state alcohol shop in Iceland. 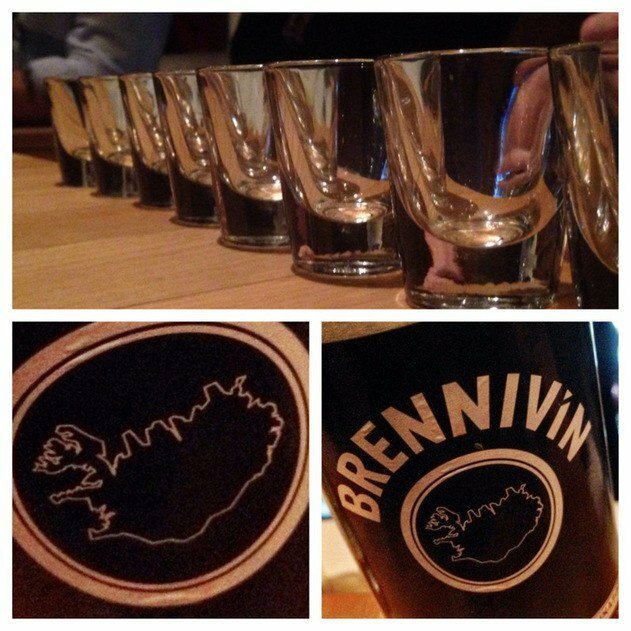 Beer was banned in Iceland from 1915 to 1st March 1989 so beer day, Bjórdagurinn, is celebrated on that day every year now. 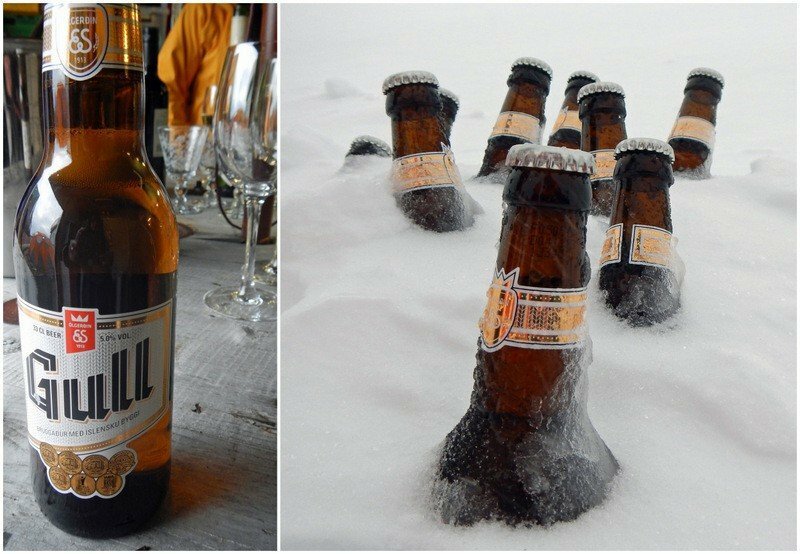 Gull is best served ice cold! Alcohol is expensive so it’s worth picking up a duty-free bottle from your departure airport. 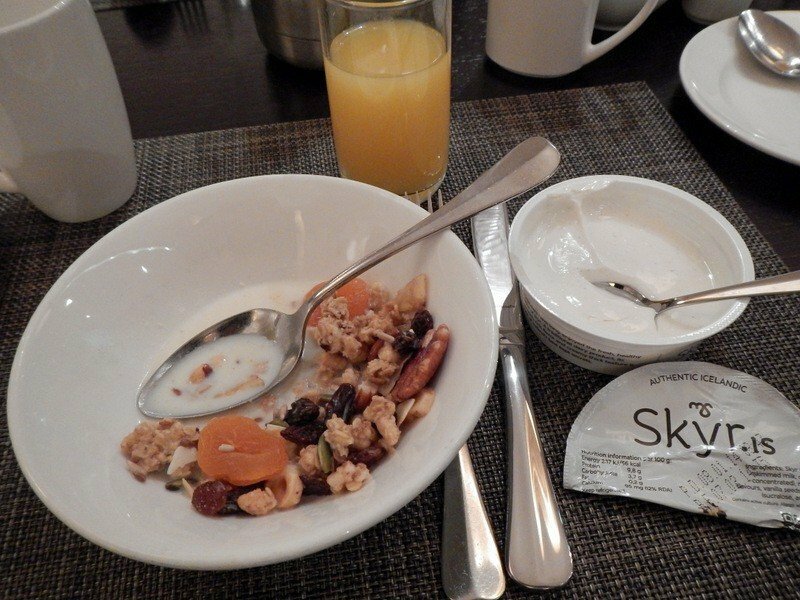 Last up let me introduce you to skyr. 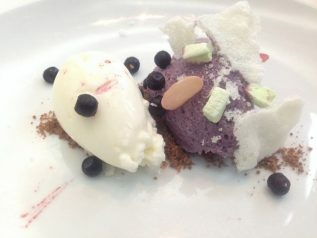 Technically it’s a soft cheese, made from gelatinous milk curds which tastes like a mix of yoghurt and crème fraîche. It’s gorgeous was my food of choice for breakfast – fab with blueberries, muesli and dehydrated strawberries. The best bit though is that this super food is high in protein, rich in calcium and low carbs and fat so it’s actually good for you! 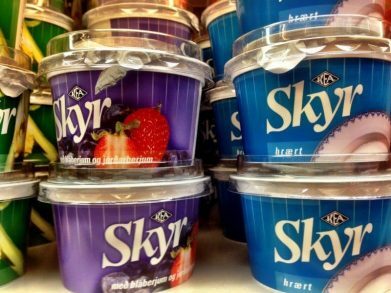 Many UK supermarkets now sell Skyr. That’s a little taster of some of the food I sampled. 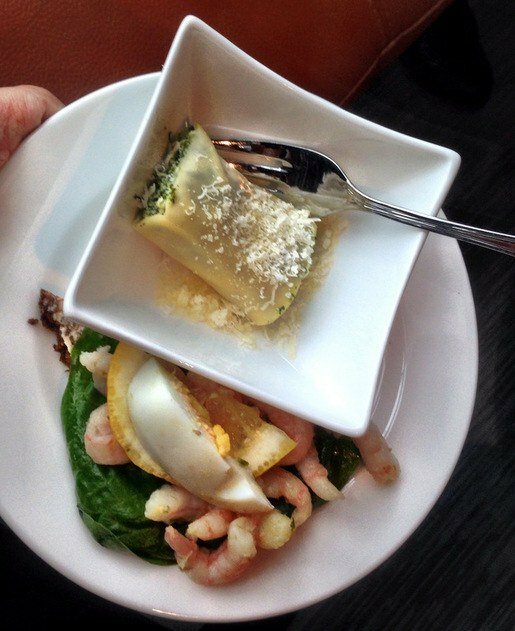 Icelandic food is fresh, interesting and absolutely delicious. 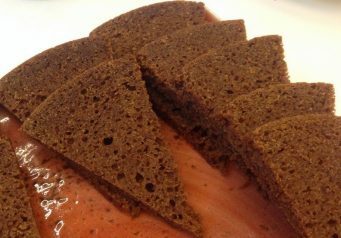 Yes, there are some foods that may not appeal but you don’t know until you try them. Given the chance I’d have had a small taste of everything I’ve told you about here – even the fermented shark! What’s the weirdest food you’ve ever tried and where did you eat it? The food options are so diverse in Iceland – I guess it comes from the days when they had very limited choices. Hot dogs and fish all the way for me! 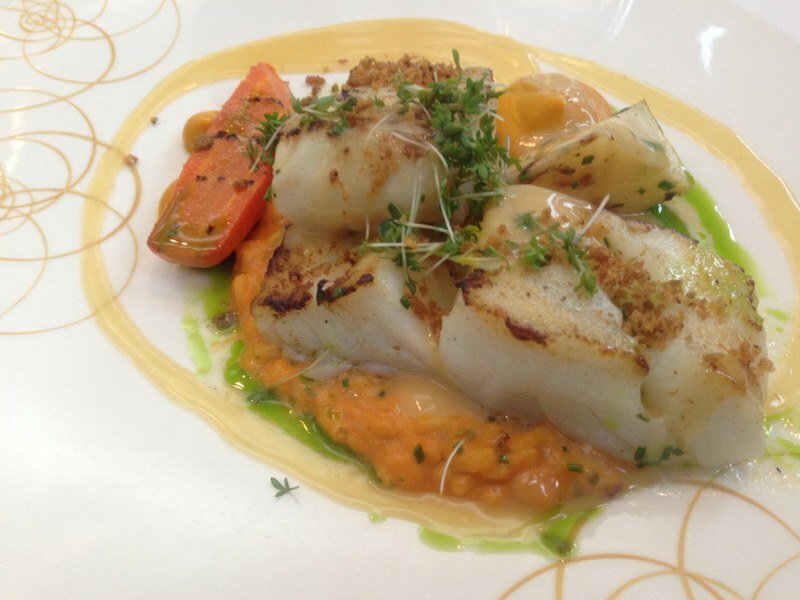 Your pictures of that seafood is actually making my tummy grumble now – is the cod loads nicer than the stuff we get? 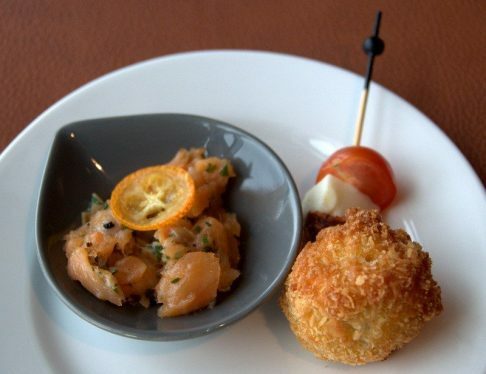 You must try the deep-fried Cod balls – they are amazing! Thanks for that excellent introduction to Iceland cuisine Suzanne. I have seen plenty of weird food on my travels – China would top the list – but I am not half as brave as you when it comes to trying them out! 🙂 The Skyr and cod balls sound like the kind of comfort food i could happily live on. I remember the skyr and the hotdogs, delicious. Wimped out on the shark and other hideous fish related things though! The weirdest thing I ever ate was a pate made from mealy grubs in Australia – it was on a wine tasting tour so I had a bit of Dutch courage otherwise I don’t think I would have done it! Don’t know if I could manage mealy grubs, even in a pate, – wine would certainly help wash them down! Fantastic post – you really covered it all. And all the background information. Excellent job. When I visit London next time … I will go down to Brighton for a couple of days .. and I will bring some to you. You should write to Whiterose – they like odd products. Be great to see you! There’s a place in London that sells it but they don’t have it in stock very often as they have to import it. Waitrose are pretty switched on so worth a try….! I love Waitrose, my shop in Briighton – also the bus stopped outside my door and outside their door, I would write to Waitrose. What an interesting and very informative post! While some dishes definitely appealed more than others, I’d give it all a try – at least once. Thanks! 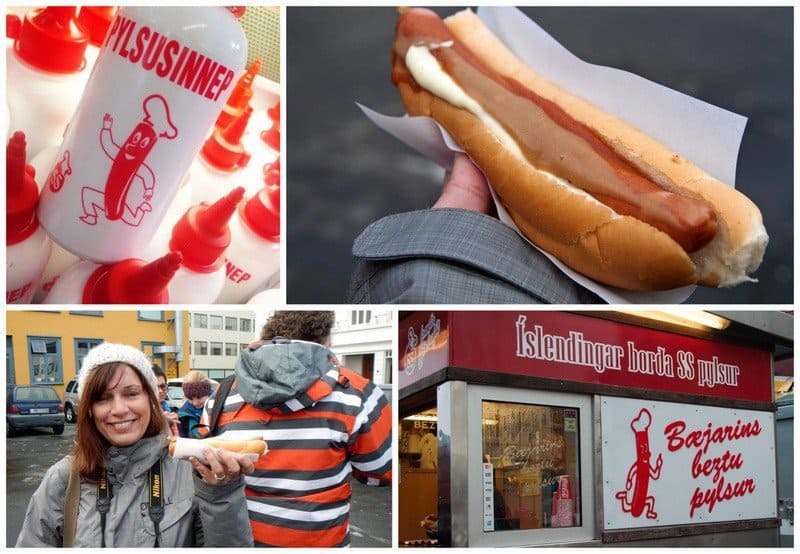 Icelandic cuisine sure looks unique! I’m like you, I’m willing to try everything though the sheep’s head does not look all that appealing! I’m very excited to try the fish and the skyr when I am there. 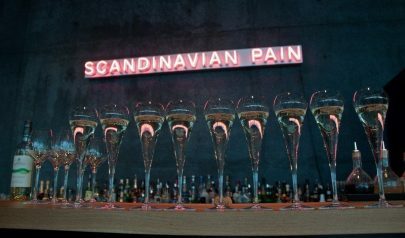 They all love like interesting things to try, and offer more reasons to visit Iceland. 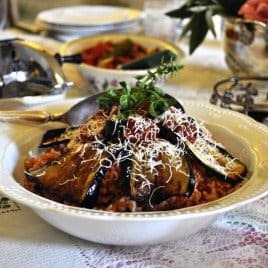 I was pleasantly surprised by the cuisine – some delicious food was eaten! I love that you gave everything a try, I try to do that when I am traveling. The one thing I could not give a go to was silk worm larvae that was sold as a snack from street vendors in South Korea. I just could not get past the smell. Our son and future daughter-in-law are going to Iceland on their honeymoon, I will share this post with them! Good thought about the potatoes and I’ve yet to taste s’mores! I agree about offal etc but I’m always willing to try a very small morsel! I have to say I have never pictured Iceland as a “foodies delight”. What do I know, eh? 🙂 I am always up for a good hot dog. Would love to try one of those!, and just about everything else. I’m not so sure about the sheep brains. I think the brain is the only bit they don’t eat! Lots of hot dogs around so you wouldn’t go hungry! I can’t deal with foods that is looking at me—even lobster and headed prawns. Worst things I’ve tried are blood sausage and cow foot when I lived in Colombia. Cow foot was pretty much a gristly, yet gelatinous, mess and it didn’t sit well in my stomach afterwards. Shudder. Cow foot sounds a bit chewy and I can imagine it would be hard to digest. I prefer to stick with food that’s not give me that look as well! I booked through Easyjetholidays. There were also some great offers on Lowcostholidays,com . I was only there briefly for work and didn’t see the shark anywhere. But I loved Iceland so much I want to go back and will definitely look out for the shark – it’s gotta be done even if only once! Kangaroo is pretty good as are water buffalo, reiindeer (esoprcially with horseraddish), bison and elk. 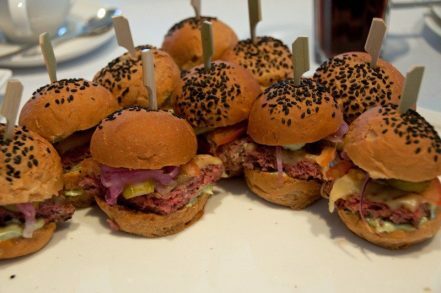 Was going to try witchety grubs in oz but by the time I was drunk enough they had all gone. Ate the caterpillar out of a bottle of tequila once, tasted of tequila! Not tried any of those except the reindeer (which was really nice!). Emu’s not bad. Really don’t like the thought of grubs and larvae though – yuk! Interesting post Suzanne. I used to think that I would eat most things, but I would have drawn the line with some of these. How many puffins are needed to make a burger? They’re not very big birds! 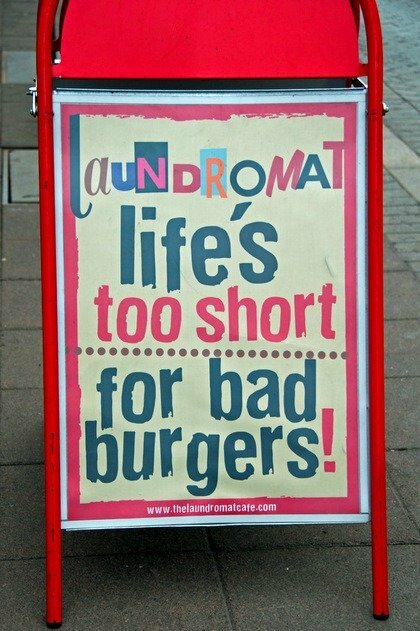 Maybe that’s why they are mini burgers. I do enjoy crocodile, but they’re not as endearing as puffins. I loved the hotdog down at the harbour – best hot dog ever! I didn’t try the shark as I thought I would probably throw up, but had a taste of minke whale and puffin but they upset me a little so couldn’t eat the rest of it (i had a tapas style tasting meal)! You tested your tastebuds then! How was the whale and puffin? 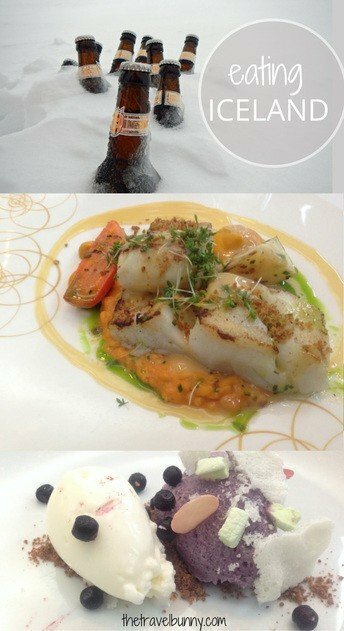 Whale tasted like beef, and puffin tasted like fish!! It is fabulous – I’m definitely going back one day! I refused to leave Iceland without trying hakarl. I even made a video. It’s not nearly as bad as I expected. Weirdest food? Probably gefilte fish. It’s far worse than hakarl, boiled silkworm larvae, blood sausage, camel or many of the other things I’ve eaten. I really want to go back to Iceland and I’ll definitely seek some Hakarl out when I do. Gefilte fish looks disgusting, boiled silkworm larvae – yuk and I didn’t know camel was edible either! Going to try and find your video now! I love trying new cuisine and while I’ve happily eaten scorpion, barnacles and sea fingers, emu, crocodile, brains and intestines and goodness knows what else, I’m not sure I could eat the lambs head while it still looked like a lambs head (silly i know!) and as for the shark that sounds dreadful! The worst thing I’ve ever eaten is sea urchin in Senegal. Tasted like unset jelly made of sea water. Love hot dogs though so would like to try that one day and all that fish looks surperb. 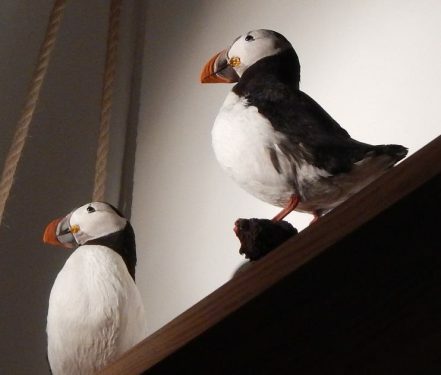 Hope you don’t mind my asking but did you really see puffin for sale? I agree it would be a bit disconcerting seeing a whole head on your plate. I’ve eaten some odd things too – emu, reindeer (don’t tell Santa) and probably things I’d rather not have in Asia had I’d known what they were! I don’t like the sound of the sea urchin but I think if you have the opportunity you should always try things – that’s all part of the journey – although I wouldn’t ever eat whale or any endangered species. 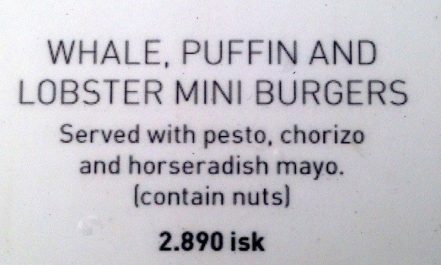 Yes there is puffin on the menu and the ‘puffin burger’ photo was taken from a menu displayed outside a restaurant. 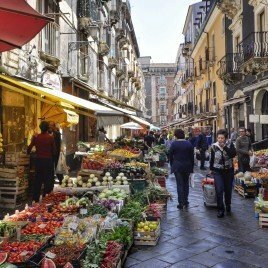 Discovering the food is a massive part of any trip for me too and if I see anything odd I’m willing to have a small bite! The fish was excellent but yes, Iceland is expensive. A bottle of Gull beer was between 800 to 1000 ISK (£4.5-£5.50) in the hotels and a two course meal around 6200 ISK £30-35 pp. You didn’t try the putrid shark then? I know I didn’t! If I’d seen it anywhere I’d have tried a very small piece – you only live once!! I can only imagine that even one spoonful might be enough to spoil a night out! I ate grilled caterpillar in Zimbabwe. It was pretty good actually but I still didn’t go back for seconds.